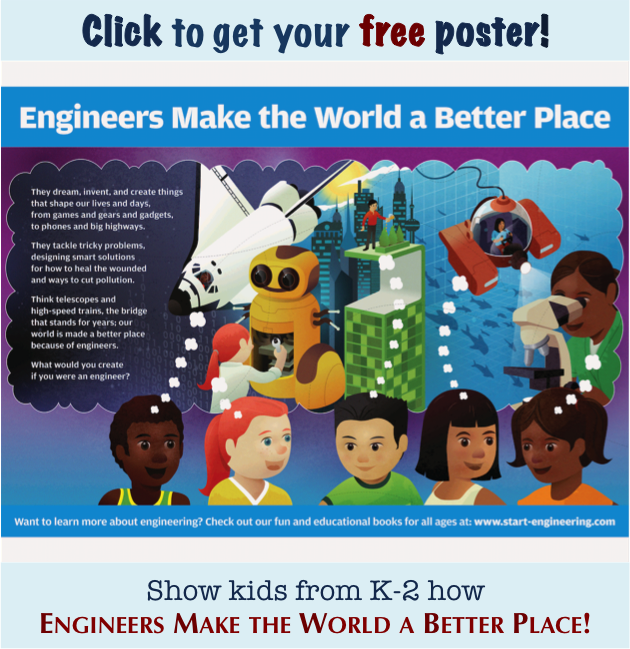 A blog about K-12 STEM education and career opportunities from Start Engineering, working to make these areas exciting and accessible to K-12 students of all ages with books and more. From STEM Solutions in San Diego to digital manufacturing to making 100 water balloons in 60 seconds, a seasonally adjusted round-up of engineering-related items. A great career, a vital need! Show middle and high school students what cybersecurity is all about and how they can find a career in the field that's right for them. 54-page PDF that guides students from the basics of online safety practices to a personalized learning and career plan in cybersecurity. UPDATED FOR 2019! 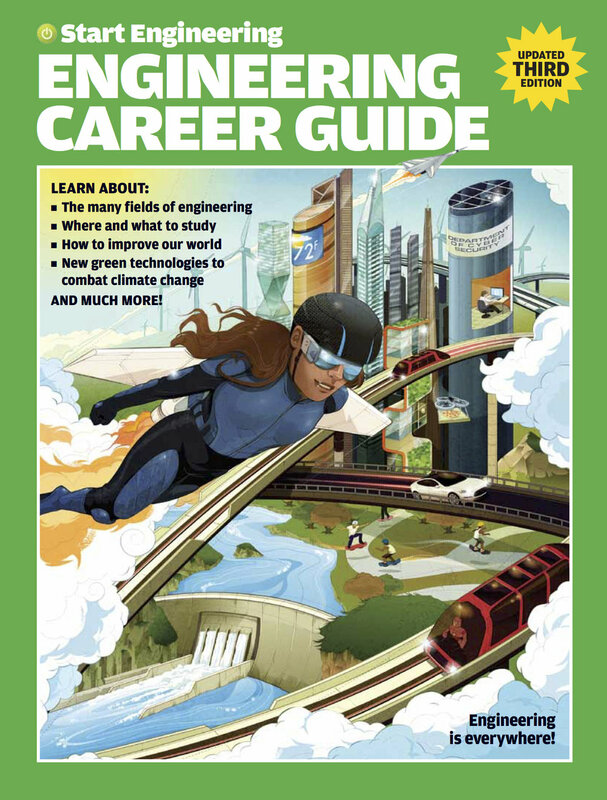 Show middle and high school students all the great opportunities a degree in engineering can offer. 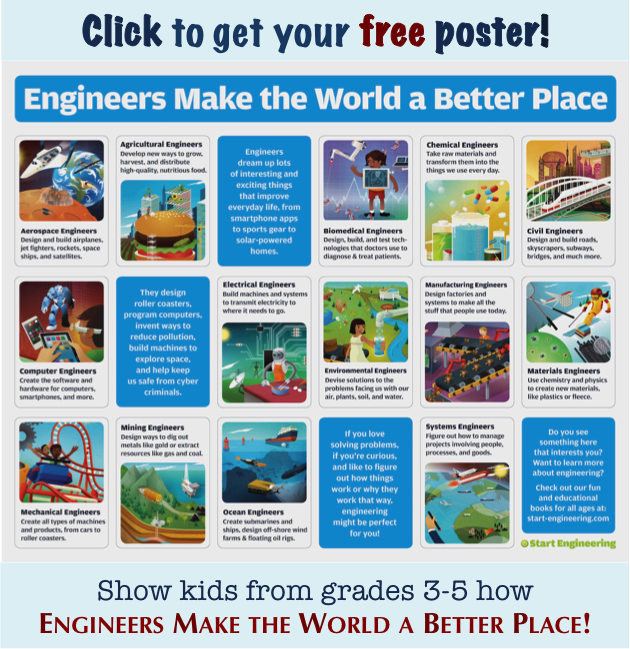 Posters come as a free downloadable file. We're (pretty) active on Twitter, too, if you like that sort of thing. Bilingual edition for elementary audiences. Click on the pictures to check out our outreach books for students in PreK through high school. All the books are available in customized or standard formats, with discounts on larger orders. Sign up below to get blog posts by email, results from our "Engineering Outreach on Campus" survey, and occasional updates. Thank you! Look for a confirmation at the email address provided within the next 10 minutes.